XS size is currently out of stock. 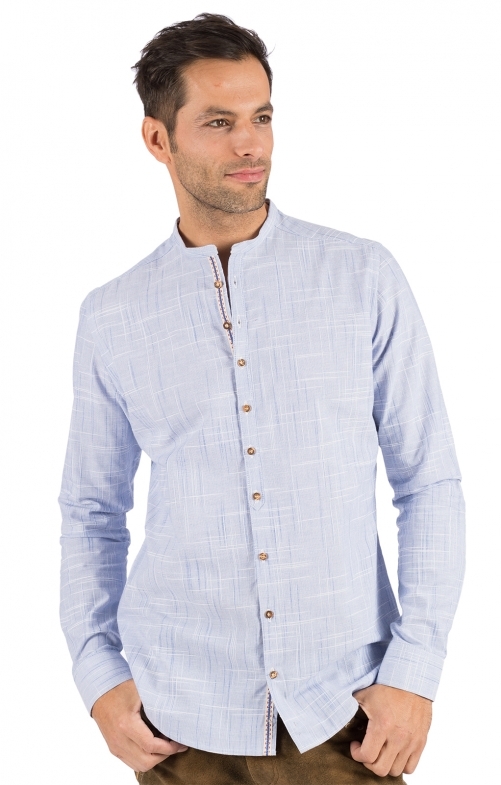 Modern designed traditional shirt with a narrow stand-up collar. The elegant look of the light blue men's shirt in traditional style is ideal in everyday life to trousers, jeans and leather pants. The long-sleeved shirt with a fine dash pattern on a light blue background impresses with traditional accents such as horn-effect buttons and an embroidered band in the inner button placket.